New research suggests that smoking may increase your odds of developing chronic pain including sciatica. A study surveyed 6,000 Kentucky women who were asked about their experience with pain. Women reported suffering from chronic pain conditions including sciatica, fibromyalgia, nerve problems, and chronic pain in their lower backs, necks, and joints. Daily smokers were the worst off of all participants; they were 104% more likely than non-smokers to have chronic pain. Occasional smokers were 68% more likely and former smokers were 20% more likely to experience chronic pain than non-smokers. In fact, daily smoking was more closely linked to chronic pain than other common factors like obesity, age, and lack of education. Despite the strong link between chronic pain and smoking, researchers hesitated to draw conclusions just yet on whether smoking actually causes chronic pain. 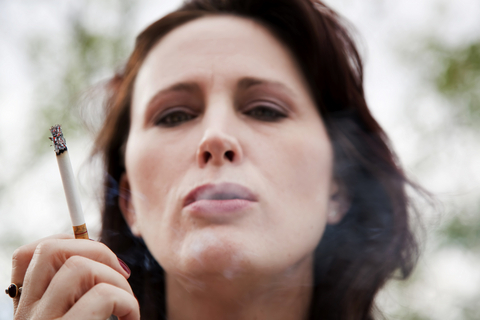 Researchers wondered whether smoking is a direct cause of chronic pain or if women started smoking in order to cope with pain. Although further research is needed, it is clear that safer methods of relaxation exist to treat chronic pain like chiropractic treatment, massage, and relaxation therapy. A chiropractor can counsel you on safe methods of treating and coping with sciatica pain. Mitchell, Michael et al. “Associations of Smoking and Chronic Pain Syndromes in Kentucky Women.” The Journal of Pain 12.8 (August 2011): 892-899. Accessed October 10, 2011. doi:10.1016/j.jpain.2011.02.35.